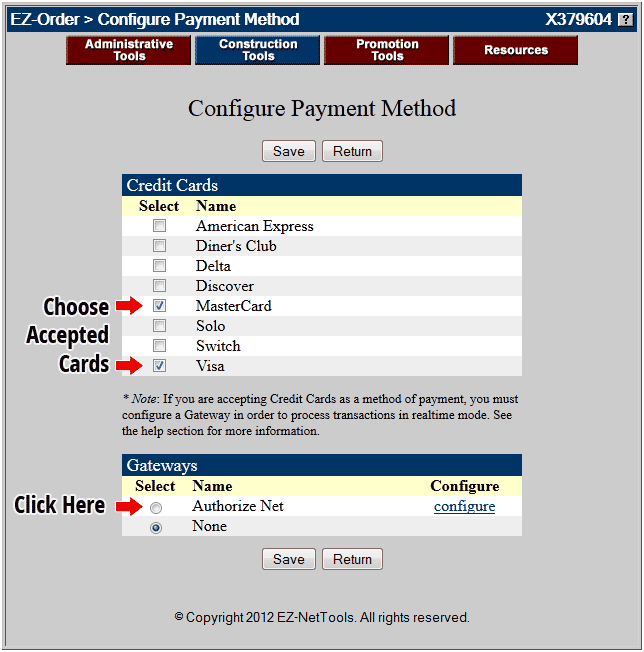 In order to accept credit cards you need to sign up with Authorize.Net. 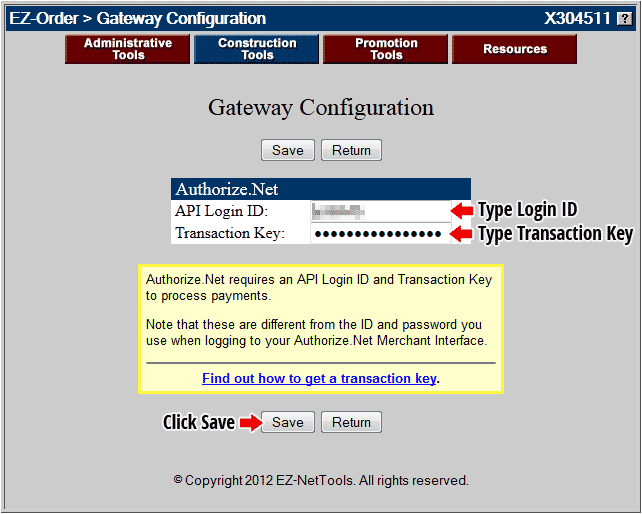 Once you sign up with Authorize.Net, you will be provided an API Login ID and a Transaction Key. You will use these to setup your gateway with EZ-NetTools. 2. Check Credit Card and then press configure. 3. Select the credit cards you want to accept. Then click Authorize Net. 4. Type in the API Login ID, and Transaction key you received from Authorize.Net.